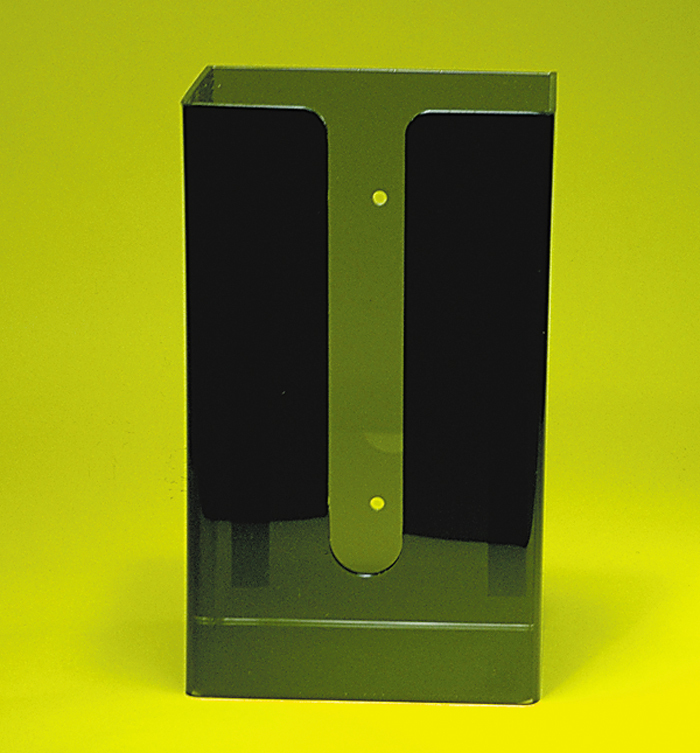 Smoke acrylic glove dispenser mounts easily utilizing double faced pressure sensitive tape strips supplied or pre-drilled screw holes on back of unit. Accepts most boxed gloves. Size: 11 1 /8” H X 6 5/8” W X 4” D (28.3 X 16.8 X 10.2 cm).